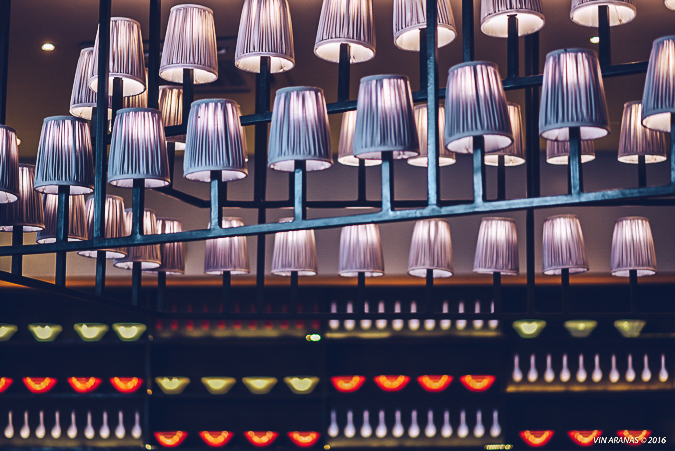 On days filled with dejected skies and heavy downpours, I would rather cozy up in bed with my laptop and movies or lounge around the house with a steaming mug of coffee. There are, however, things that belong to the rare exception: food that can convince me to grab a jacket and head out of the house to brave the rain. 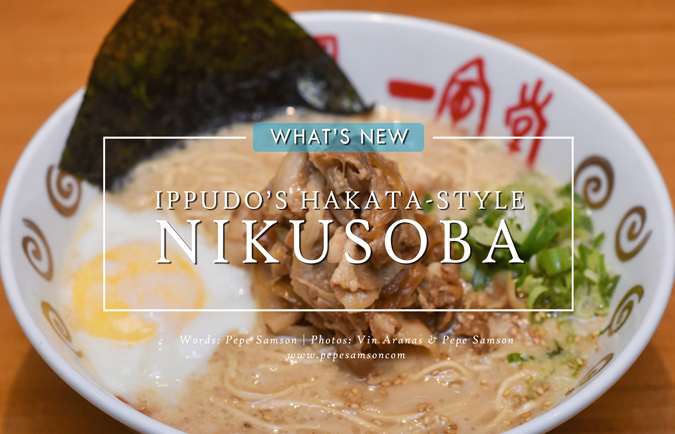 Such is the case of the Nikusoba Ramen—Ippudo’s latest creation and my favorite ramen from their selection as of writing. 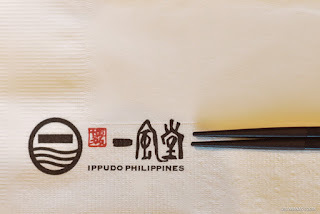 We got to try this genius dish a couple of weeks ago when the new Ippudo branch in Uptown Mall, BGC invited us for lunch. 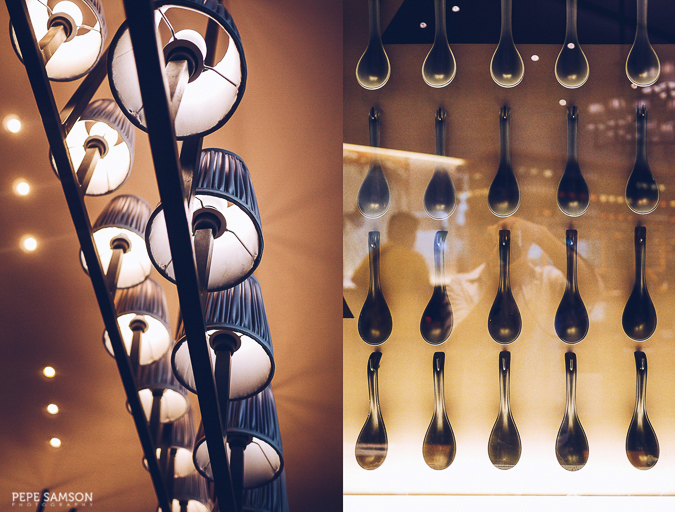 The thought of ramen always excites me—rainy day or not. I find a bowl of delicious broth and chewy noodles incredibly comforting. 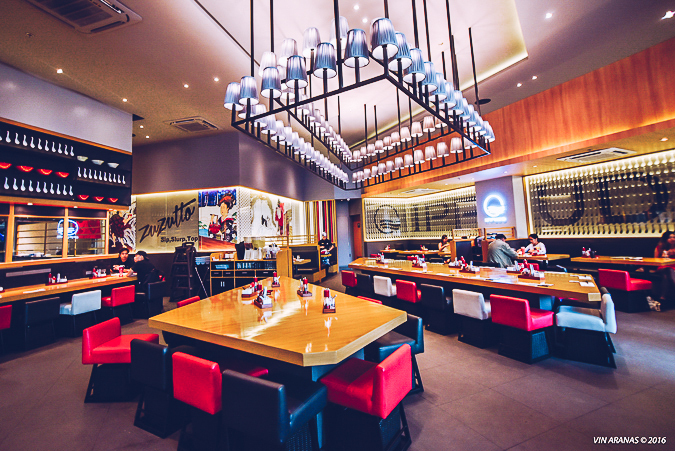 That’s weird, considering my hatred towards this Japanese dish before; but then again, it’s only a few years back that ramen gained an immense popularity in the Manila food scene, so I’m guessing restaurants really became competitive and strived to dish out only the best. 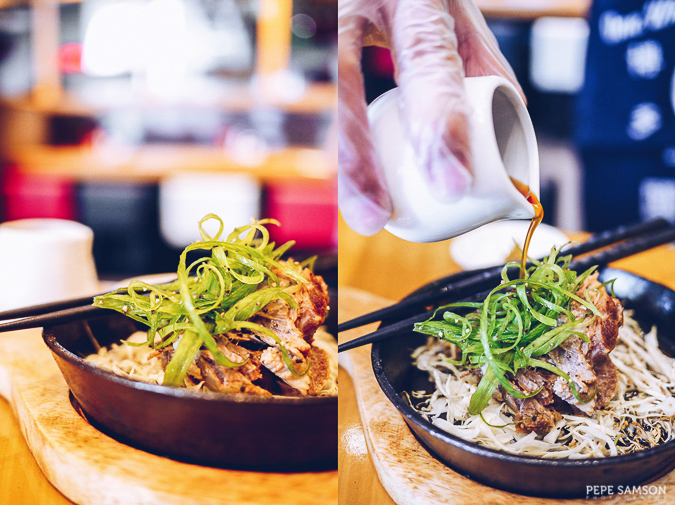 The Hakata-style Nikusoba Ramen (PhP490) utilizes Ippudo’s signature tonkotsu broth—a light and creamy soup with just the right richness and flavor to make anyone slurp nonstop. 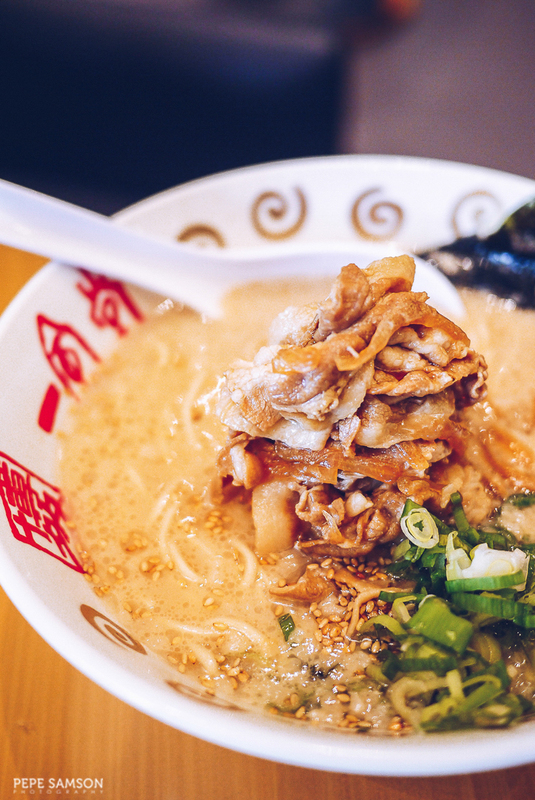 When I eat ramen, I never finish my noodles (sorry), so essentially I judge a bowl of ramen mainly by its broth—when it is excellent, heaven descends. Ippudo’s is; I can drink it for days. 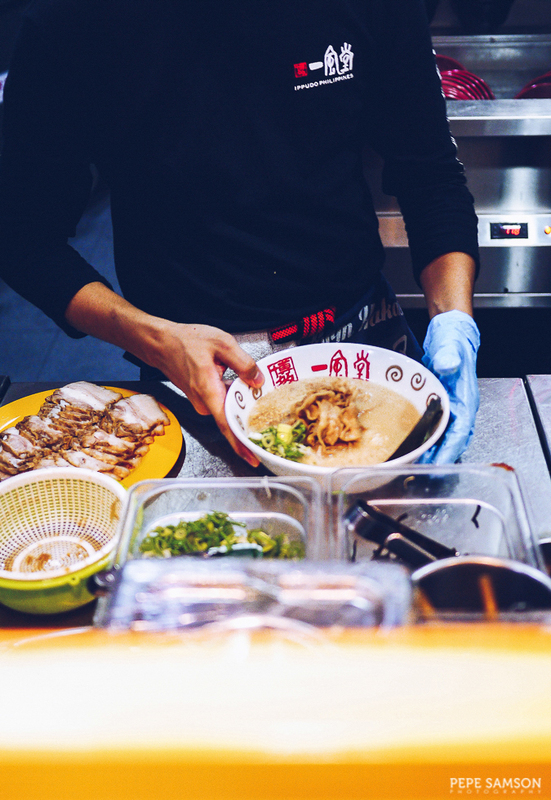 It comes with thin flat noodles that are springy and chewy, and beautiful slices of pork belly that would tempt the hell out of any meat lover. Stewed onions, negi, sesame, and nori add to the masterpiece. What completes it? An onsen tamago, of course! 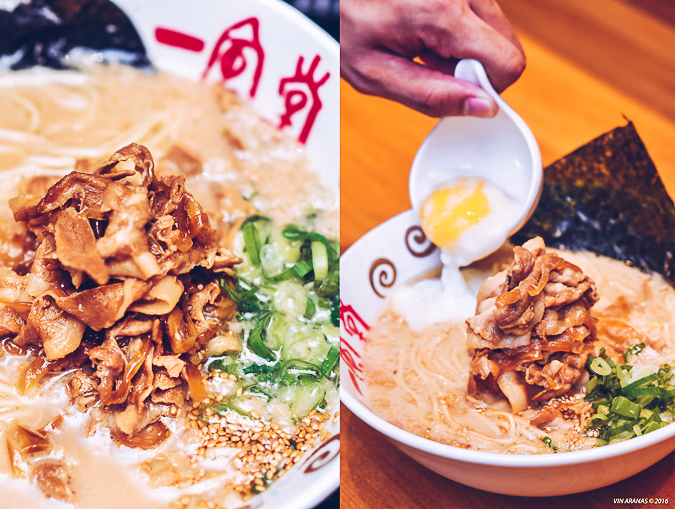 A perfectly-cooked one mixed into the ramen results in a mind-blowing kessaku. 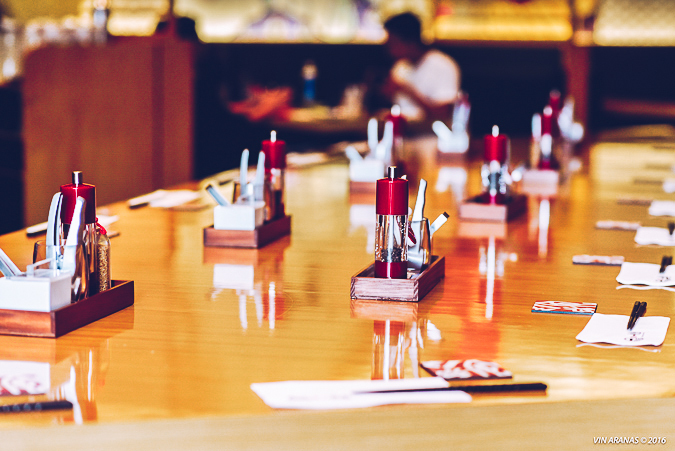 Order some steamed rice with your ramen—it’s perfect for those pork belly strips—or try Ippudo’s famous “sidekicks”. 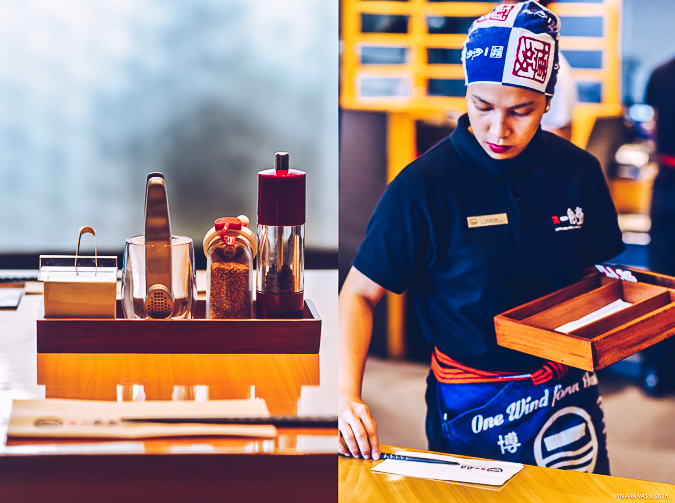 The Wagyu Maki Onigiri (PhP320) is Japanese rice sheathed in thinly sliced wagyu, glazed with yakiniku sauce, then dotted with sesame. Hefty and filling, these beauties can be shared by 2 or 3 people. 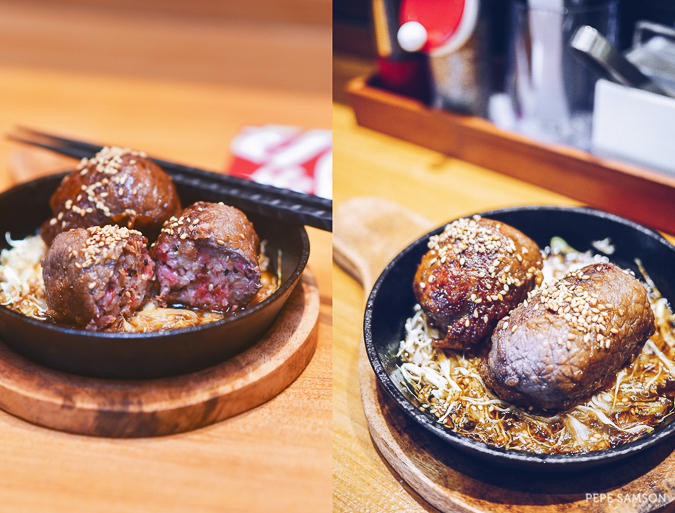 My favorite is the Gyutan (PhP380)—melt-in-your-mouth Australian beef tongue served with a side of yuzukosyo paste, and topped with onion leeks. I wouldn’t have guessed this was tongue had I not read the menu. It’s far from the usually slimy texture of lengua! 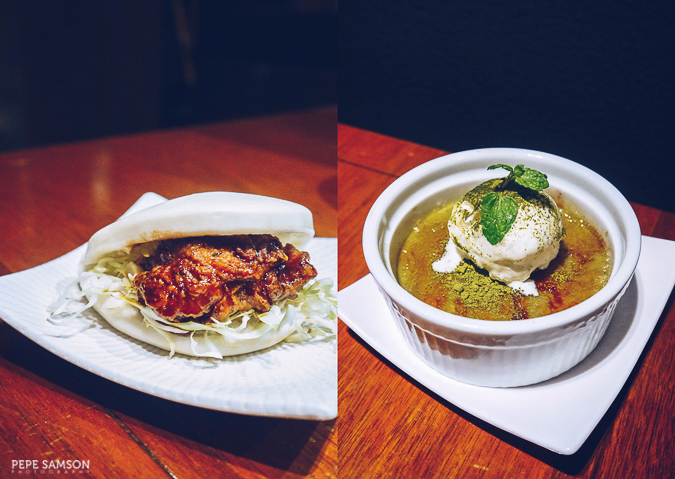 Of course, Ippudo’s signature steamed buns are must-tries if you haven’t done so, and for that sweet finish, order the insanely delicious Matcha Crème Brulee! I guess you can say I’m pretty much ready—and slightly eager—for the rainy days. 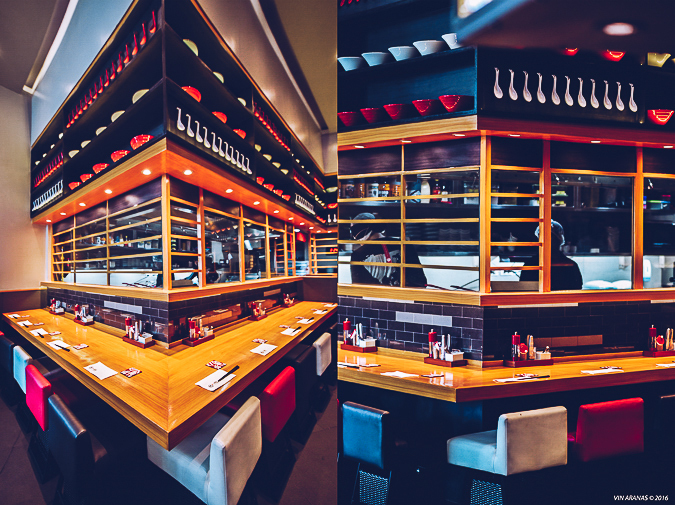 Special thanks to contributing photographer Vin Aranas for the awesome photos. Follow him on Instagram: @vin_aranas87. 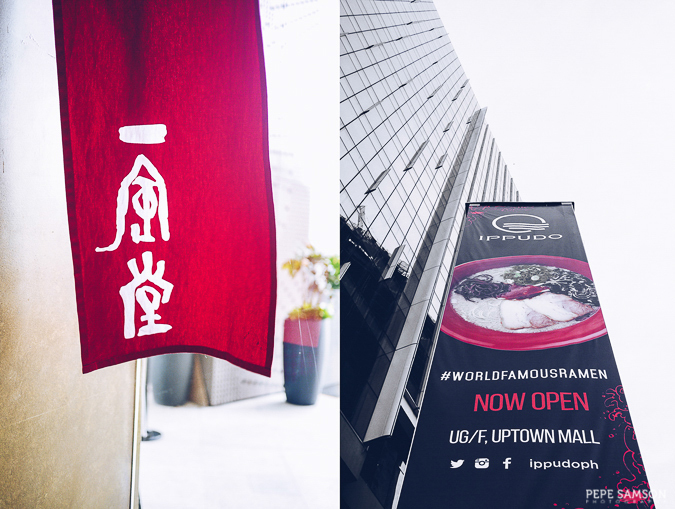 Have you tried Ippudo's Nikusoba? 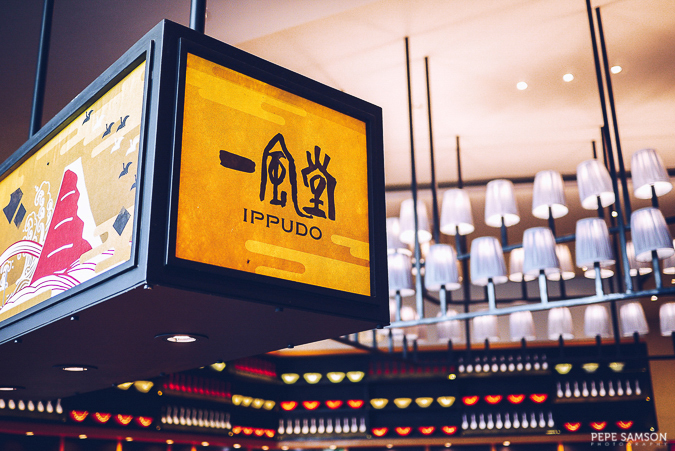 What is your favorite at Ippudo? 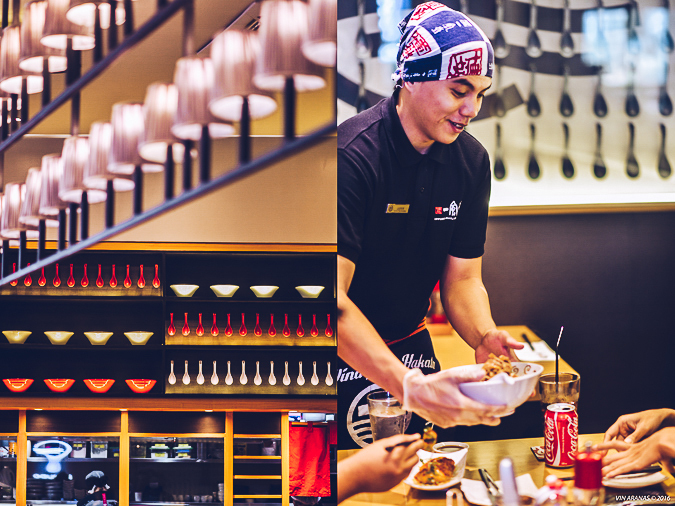 Which is your go-to ramen place in Manila? 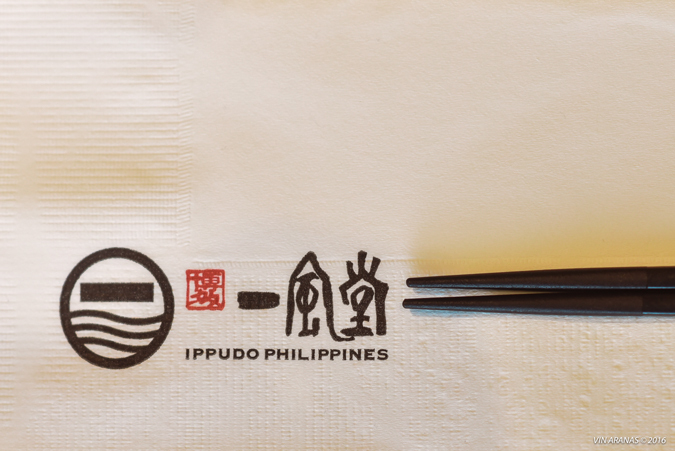 My meal was sponsored by Ippudo. All opinions, however, are my own.